South Africa is known for its rich culture, scenic landscapes and warm hospitality of the people. All in all it is a paradise on the planet. Now how would it feel if there were no beaches in paradise? So heres presenting a personal favorite list of existing beach cultures in paradise country South Africa. This ravishing place is often honored with the title of heart of the Cape. Hout Bay is endowed with the ocean, the majestic Constantia Mountains and wine farms. The Karbokel Mountain is seen towards the west of Hout bay. Famous Sentinel Mt. in the east of the bay is an outpost in the sea. The bay is only a twenty minute drive away from the bustling City center of Cape Town. It has a busy and lively old fishing town environment and is wind protected. Hout bay is the home of the crayfish industry and snoek (large marine fish). Another unique feature you can get to see is the fishermen cleaning and preparing the fresh caught fish. Snoek soup is their town specialty. Hiking and cycling can be other activities to catch up on, sailing, fishing and surfing being the favorites. Celebrities count this as one of their favorite beaches. The sun beams heat up the sand while oil laden, tanned bodies lie all around this gorgeous shoreline. The sand is easy to walk in. The beach is set in the amazing awe shattering backdrop of the Lions Head and the famous Table Mountain. Due to its above par qualities of crystal clear and clean water conditions, safety management, utilities, environmental awareness and education have earned it the title of a Blue Flag beach. It is counted among the world’s best beaches. A dip in the ocean can be a shock for many as the water is often very cold. 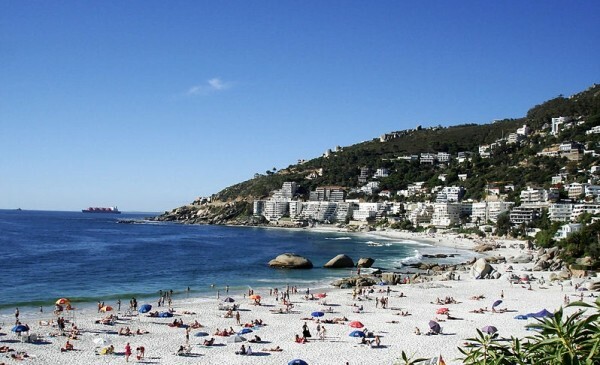 It is called the Fourth beach as it is one of the four beaches of Clifton, also the most popular. On a hot summer day, the beach is covered in umbrellas, chairs, people and beach towels, with the sand hardly visible. 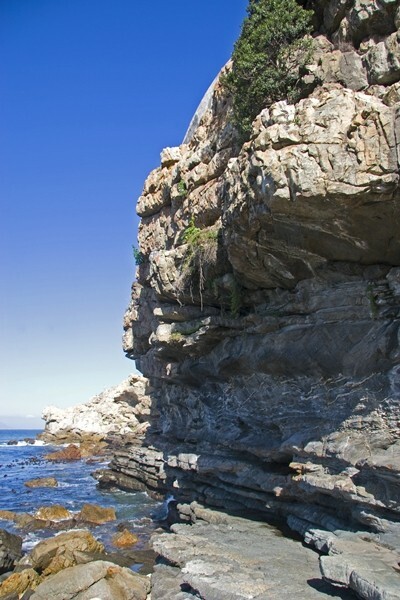 Hermanus is delightful sea facing town which is only an hour and a half away from Cape Town. It lies next to the scenic locales of Walker Bay. This town is one of the best places in the whole world to observe whales. Greenpeace and WWF hold a week long Whale watching festival every year in the end of September. It attracts more then ten thousands of avid whale watching enthusiasts and common people alike. The whale watching season is from June until December each year. Humpback whales, Bryde, Southern Right are some of whales seen during the annual festival. There are tour operators who take enthusiasts out to the sea for a close view of the action. But the various cliff tops make for excellent views to watch these humungous but gentle beings swim.